In the banking business, Digital Transformation means much more than just transactions, apps and automation. There’s a whole new shift that will make banking a different experience altogether. Pivoted around customers experience, self-help and omni channel enablement, this new wave will define banking of the future. 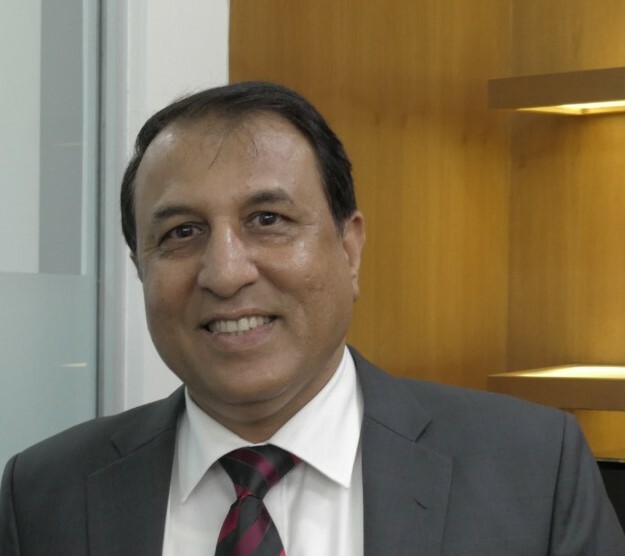 Standard Chartered India’s CIO Mr Zuzar Tinwalla in an exclusive interaction with Muqbil Ahmar (DC), Executive Editor, dynamicCIO reveals some of the interesting dimensions of the company’s digital journey and how it is reinventing itself to empower millennials. DC: Banking and finance sector is pioneering the adoption of Digital. How important is it for upping the customer experience? ZT: There is a momentous shift towards digital transformation, of which BFSI is also a part. With government policies incentivising the drive to digitize, the entire business landscape is changing. On one hand, there are exceptional measures taken in introduction of UPI, IMPS and on the other hand it is becoming complex and costlier to comply with the regulatory frameworks. As a result of this, digital is the only saviour. It is not more a choice but a recipe for survival. If one can say so, there’s Uberization of banking taking place. Customers expect similar solutions from enterprise tech as they do from consumer tech. That means, we have to rendered services in real-time. The cumbersome process of opening a bank account and lengthy documentation needs to be replaced with a quick one and digitalization is the only way. At Standard Chartered, we are taking it very seriously. Last year, we rolled out a process of customer on-boarding to lead management. From start to finish, everything is done in real time. While we’re still bound verify a customer face-to-face due to regulatory requirements, the process is completely digitized. As a result, using an iPad, the bank personnel can assist the customer open an account in 10-minutes. That has suddenly taken the customer experience many notches up. DC: Do you see a gap between customer demands and an institution’s responsiveness to those demands? How can that be bridged with the help of technology? ZT: There is a deluge of expectation from customers. They expect high services levels in least time and at their convenience. Instead of interacting with humans on phone, they either want to log on to a portal or mobile for most services. Even for wealth management, the customers want to select products and invest on their own. Earlier, this was done after a lengthy, time-consuming conversation. The whole momentum is towards customer empowerment through digital push. Most of the small-ticket service requests are getting resolved online. For example, settling payments; it’s a matter of seconds and can be done from any device, from anywhere. Banks are compelled to match these changing expectations. As a result, the digital channel is growing exponentially. Standard Chartered is among the top five banks, which have handled the maximum amount of digital transactions in past 4-5 months. DC: Fintech companies are emerging as the saviours for BFSI companies. Is Standard Chartered experimenting with them? ZT: Not long ago, banks saw Fintech companies as a threat as if they will throw banks out of business. But over a period, the industry realized they could be complementing partners. They can complement us in better client servicing. We must know that while Fintech companies can quickly produce solutions, they don’t have the customer base and reach of a bank. So, when it’s important that we engage in mutually beneficial partnerships. Recently, Standard Chartered Bank Hong Kong created a blockchain-based platform for an organisation to enable its online settlement. The solution was delivered in flat 60 days. Jack Ma, Founder of Ali Baba and our group CIO were both present on this occasion. DC: AI and Blockchain are hot technologies deployed by Banks. What experiments or implementations have you done in these two areas? What problems are they solving? ZT: Artificial intelligence is pretty useful to enable repeated, rule-based decision-making in banking orgs. There are certain areas like risk-based decision-making, which we have automated by procuring data from both internal and external sources. The idea is to churn data through automated processes and then on top of it use AI engine to do some decision-making to assist the credit analyst as well as the RMs. AI will get better with time as it will feed on big data. The more the data, the better it gets. As an organization, we have already invested in Ripple and carried out the first pilot transaction between SCB Singapore and Axis Bank in India. On the other hand, Blockchain is applicable to repeated transactions between a closed set of entities. Where we see a huge uptake for blockchain is in the end-to-end supply management and your ecosystem financing. For example, if you’re an auto OEM you have a large ecosystem with immediate suppliers and a whole lot of suppliers to those suppliers – a typical supply chain. If all suppliers are brought on a blockchain-based platform, it will solve a number of problems. Similarly, on the dealership side, the dealers can be on-boarded right from the top till several levels below. The whole thing can be captured on a blockchain and that is something that industry is witnessing. DC: Frauds, theft, and financial crime is a menace for the banking industry? How are you using technology to prevent these threats? ZT: When it comes to safeguards, there are no shortcuts. As a standard practice, we carry out both pre, and post-facto checks. We have detection mechanisms, which successfully pre-empt in pointing towards frauds or financial crimes and raise an alarm to the right authorities. Technology is a great enabler in monitoring. The technology deployed here helps us monitor any unusual activity or user behaviour and the same is reported to the right authorities. Prevention and detection are both important. It is all about how well you detect and respond. If you are not able to take the necessary actions then your losses start piling up. DC: What are some of your near-term goals as far as digital transformation at SC is concerned? ZT: I must say that as incumbent, we have invested enough to be a formidable player in the modern-day banking industry. The next few years will see leapfrog to match or exceed customer expectations. To make that happen, a lot of initiatives have been planned, both globally as well as locally. Without divulging the details, I must add that we are leveraging technology in a big way to enable quicker customer transactions in a cost-effective manner and in compliance with regulatory framework. 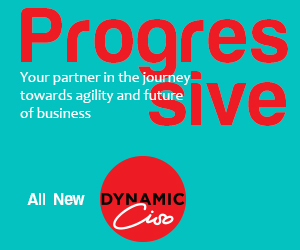 DC: Finally, how do you see the role of a CIO evolving from being just an enabler of business to an effective communicator, business owner and also an innovator? How many times the systems were down? What is the stability of the systems? Those were the questions which were thrown at the CIO. Not anymore. Today, system stability is a given. Earlier, when a specific technology was being rolled out, the CIO was responsible for of its enterprise-wide adoption. Now the technology has to attune itself to what the business problems are. The role of a CIO has transformed from being an order-taker, to an enabler to an influencer drive change and innovation. Instead of a backseat passenger in a car, the CIO is now almost in the driver’s seat. CIOs can now contribute immensely to the success of any organization. I get into strategic conversations with my business partners and understand their business priorities. I am loving the experience of being in the driver’s seat to steer my organisation to its next destination.